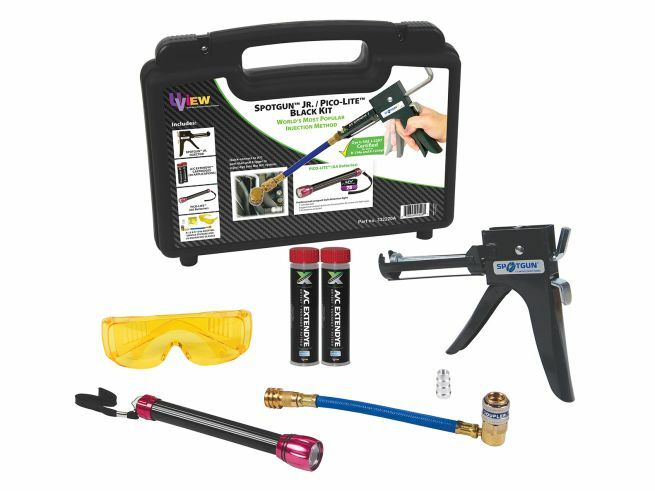 332220A | Spotgun™ Jr. Pico-Lite™ Kit - CPS Products Inc.
Spotgun Jr.™/Pico-Lite™ Kit with A/C ExtenDye™. A/C ExtenDye™ is enhanced with an additive package that extends the life and improves the efficiency of the A/C system. Services up to 20 vehicles. Lifetime warranty on every injection gun.